Happy Halloween everyone! I have been running this blog for just over one year and I was really excited last week when my Facebook Page passed 30,000 likes! It has been an honour to be able to share these deals with such a large audience! I just wanted to say thanks to everyone for checking out this site. I promise to keep posting for as long as possible. For those of you who have been with me since the beginning, you will know that I had my first child one year ago. Balancing the a full time job, the website and a new baby has been an interesting challenge for our family. This week she caught a cold at daycare and got the whole family sick – no one is getting any sleep in our house! 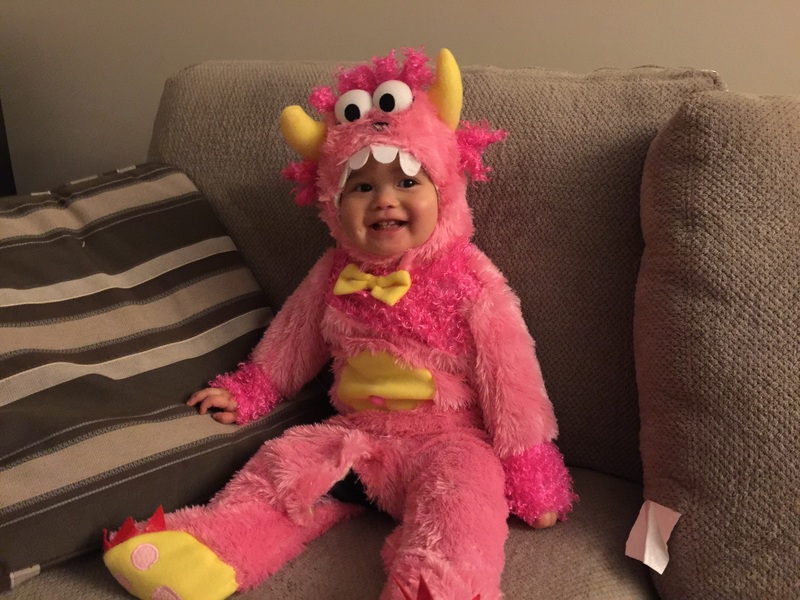 She has grown up to be quite the little monster – but we love her anyways! TRICK OR TREAT! This weekend, the whole family has been sick so no comments this week on sales items. I just found out about this site last week. I wish I knew about it soonr. This is one of the most useful sites on the web! I hope everybody takes some time to click on the advertisements to help out this blogger. Thanks for the info, even when your family is sick. Also, friendly piece of advice: Those cabbage rolls are pretty gross. Usually Costco does well with picking good frozen food, but these are a complete miss unfortunately. Thanks – I was thinking about getting them for Christmas. I guess I won’t bother. What a sweetie! I bet she keeps you on your toes. Thanks as always for your hard and dedicated work. Always look forward to your email….A big THANK YOU! Very cute photo. Hope everyone had a fun and safe halloween. Thanks for posting! Thanks for all your hard work! Your daughter is so cute! Love this site. Only discovered it a few months ago, but finding it extremely helpful and accurate. When shopping for a family of five, we have to watch our spending, and knowing those sale items on advance sure helps! Thanks so much for all your hard work. Definitely appreciated! Thank you for saving my time!!! Hope your family get well soon. Truly appreciated … thank you!!! Thanks for the info even when your little is not feeling well. Which Costco location did you find the Prismacolor Colouring set? Thank you so much. You do a great job showing the signed price but also an image of the item with it. Love it! Hope you and your family feel better soon, and thank you for taking the time to do this with your busy schedule as well as being sick on top of it. Take care of that little cutie of yours. I second the fact that the cabbage rolls are terrible. Thanks for all your hard work. We appreciate your effort to keep us up to date on sale items at Cosco. We can read this from our arm chair and decide what we need. Thanks much. You will enjoy your little one more and more as they develope. We enjoy our grand kids very much. So Cute…. and the costume was so practical for the cold Halloween’s night. Last night, there were not many kids (only 6 groups/family) came by “trick or treat” in our area; even the weather was good in Vancouver. I now have too much leftover candies and I will donate them this weekend. In the old day, Halloween’s night was so much fun. That Artika shower caddy I bought in the summer for around $49.99. Its alright to assemble, just be patient with it…..I love the fact that it locks around the shower head pipe and won’t slide off. Its very useful and provides a lot of shelving space for shampoos/conditioners etc…. Oh, thanks for posting…I always check this site every week for the Costco deals! Hope you all get well soon. Thank you for the hard work. i agree that the cabbage rolls are horrible. I gave them to a neighbour who liked them ?? Hope the family gets well. Does anyone know if the big roll of plastic wrap is BPA free? Tried Google but got a huge artical on bpa. I’m going to assume it’s not bpa free since it doesn’t have the sign stating so. thank you for your post, much appreciated! Went in on Monday and my store only has 24 packs of cola. We still bought it at 7 vs 9bucks just thought it was interesting. Thanks so much! You single handedly save me easily $50 per month on my grocery bill! I appreciate this site which I just discovered now. I just wish I would’ve know this sooner so I can grab a couple of Elsa toddler dolls for my daughter and my niece. 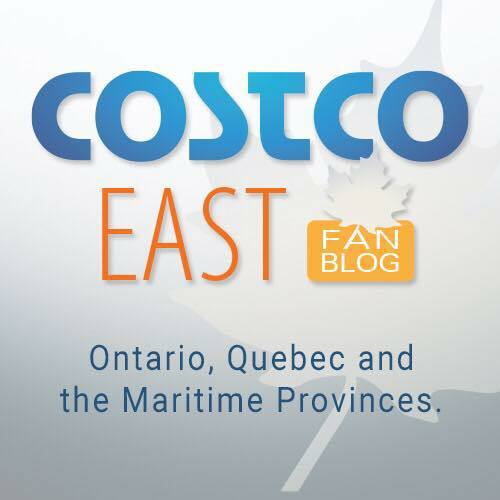 It’s too bad that they don’t have any left on all the Costco store location in MB. I called all 3 Wpg., locations and no luck. Please let me know if anyone can help me look for this kind of dolls as I would really like my daughter and my niece to have it for Christmas. It’s both their favorite doll.